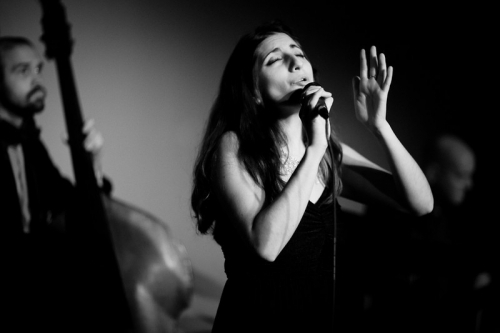 Saturday 2/1/14: Special guest Lena Seikaly joins us at Black Fox Lounge! Please come out to the Black Fox Lounge for “First Saturday” in February (the 1st) as vocalist Lena Seikaly joins the band for a special night of warm, swinging jazz. Lena is one of the top jazz talents in the area, having been named as Best Vocalist, Best Album, and Best Composer by the Washington CityPaper “Jazzies,” among many other accolades. This entry was posted in Uncategorized and tagged Black Fox Lounge, Dave Kane, Ed Hrybyk, Lena Seikaly, WED Jazz Trio. Bookmark the permalink.